Mobility and stability – are they in conflict? Focal Mogo supports a leaning posture with a collapsible and portable design. It uses are endless and not confined to indoor spaces as with most other height-adjustable stools. Using the Focal Mogo is unlike any other experience. All Focal Mogo reviews are baffled by its looks. It goes to show that Fully, its manufacturer, can still create unique designs which challenge everything that is known about stools and sitting and work or anywhere else for that matter. There is a certain versatility about the stool which can even make one wonder if the stool could actually be improved beyond this point. It seems Fully has looked at all the details when designing the Focal Mogo. Starting with its 2.5lbs weight, most users can agree that this is already a special design. Its lightweight construction actually allows it to be moved around the office, the home and even taken outside for quick stand up meetings. The Focal Mogo seems like a product out of Kickstarter, but it is actually on sale and already in use. With many happy customers, many people might actually wonder about its possible role and benefits, since it doesn’t look like anything familiar. Its principle is simple. At its core, it is still a stool. However, it is a type of stool in a category of its own. It is why the Focal Mogo actually comes with a small pivoting base. This small base is what allows unmatched levels of freedom of movement. Used at home at the desk, at the office or in a meeting room, this pointing base is all that’s needed when it comes to proper durability. Furthermore, the stool actually manages to offer sufficient stability to maintain all angles and small movements while seated. As if this small base would not be enough innovation, the Focal Mogo also includes a collapsible design. Yes, the Focal Mogo is actually a collapsible design and it compacts to only 18”. This is why it is probably the first stool to actually come with a traveling profile. The manufacturer even includes a travel bag as a result. There are many instances where the Focal Mogo would actually struggle to rival its larger competitors some users might think. But this collapsible design is not limiting, at least not from the weight perspective. In fact, the Focal Mogo handles up to 300lbs. This is more than most stools on the market. As all travel products are now made to be as compact as possible, the Focal Mogo also comes with a similar approach. This is why its seat is actually removable to allow it to fit in its travel bag easily. This seat comes with a minimalistic profile. Available in black and red, the seat pan actually has gripping holes in it. Furthermore, it is made with fiberglass-reinforced materials which allow it to maintain unmatched levels of durability. But it is also important to understand that the Focal Mogo can also offer different height levels. The stool comes to serve people of different heights and desks of different heights. This is why it accommodates users between 4′ 11″ and 6′ 8″. At a weight of just 2.5lbs, the Focal Mogo can even be taken outside. The manufacturer claims its perfect for standing in line. So the next trip to the post office can actually be more comfortable than expected. Of course, this only applies to those who would already feel comfortable carrying a stool with them at the post office, even a small one such as the Focal Mogo. Most importantly, the stool can work well in the corporate world. It is here the employees and managers need to move from one desk to another and attend endless meetings in-between. 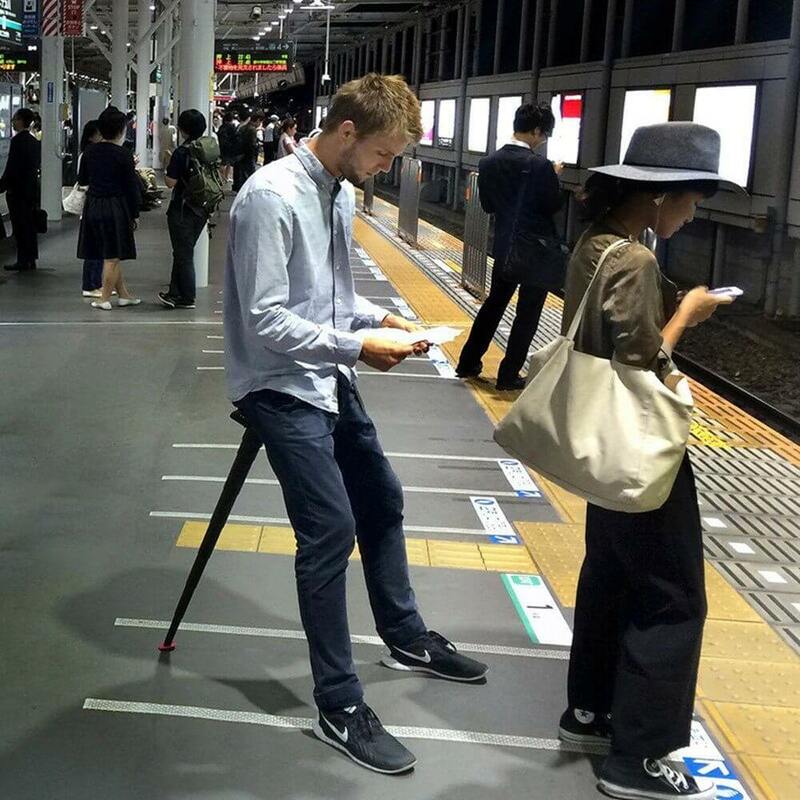 It is why all users should actually have the ability to set their own standards when it comes to when they want to sit and when they want to stand. This is another important assessment to make. The Focal Mogo actually combines sitting and standing, unlike any other stool. Stand-up meetings can become sit down meetings. Working at a height-adjustable desk can come with reduced pressure on the feet. Working with another department at the company can solve the lack of free chairs, etc. There is a simple button which needs to be pressed to activate the collapsible feature. This is similar to what is actually seen on camera tripods and it goes to show the design can be extrapolated to other uses. Given the Focal Mogo comes at $99, it is also an affordable alternative for many other stools. Since it comes with so many distinct characteristics, the Focal Mogo users might not see its limitations from the start. But they are there and they are considerable. First of all, no stool is really made for sitting hour after hour. A typically adjustable stool can be used up to an hour without too many aches. But the Focal Mogo’s use is even lower than that. It can only be an option for sitting up to a few minutes, maybe half an hour. It is not a design which would be too comfortable for long meetings as a result. 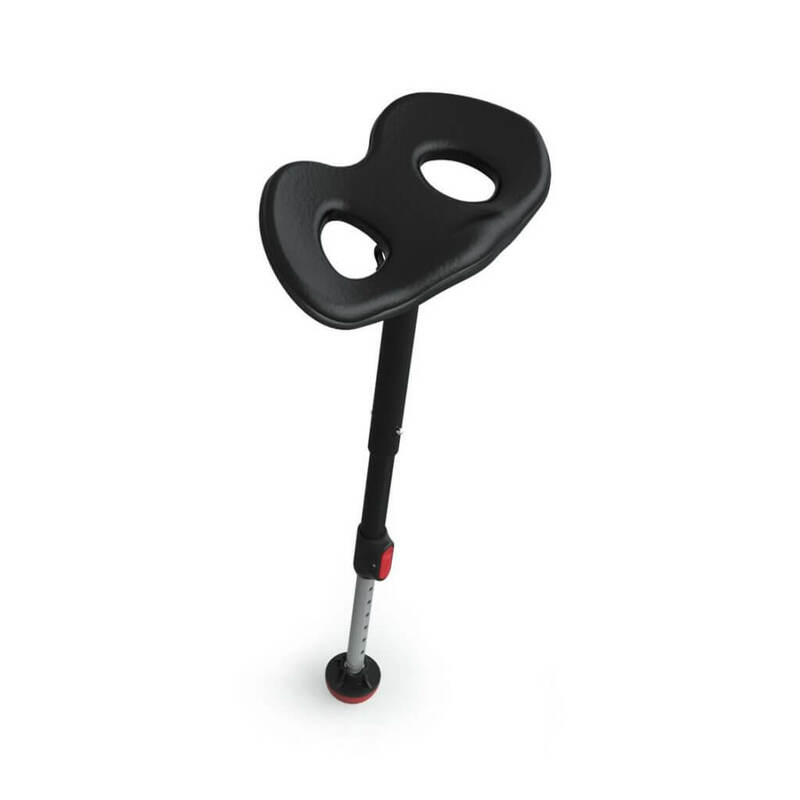 Both the legs and the core are activated when sitting on the Focal Mogo. It is why most users would actually struggle to maintain this position too much time. Since there is no direct pressure on the back, the issues of lower back pain might go away and this is why the stool is better than standing for many people. But at the same time, it will not support the body for too long without starting to feel discomfort in the legs or in the core. Other situations might also require users to get their hands on a few more accessories such as a mat. But the Focal Mogo doesn’t need any mat with its rubberized stability. However, its foundation is what limits its maximum usage time as well. This means the stool is mainly suitable for short periods of time. It is also perfect as a backup for a traditional office chair, especially when used with a standing desk. 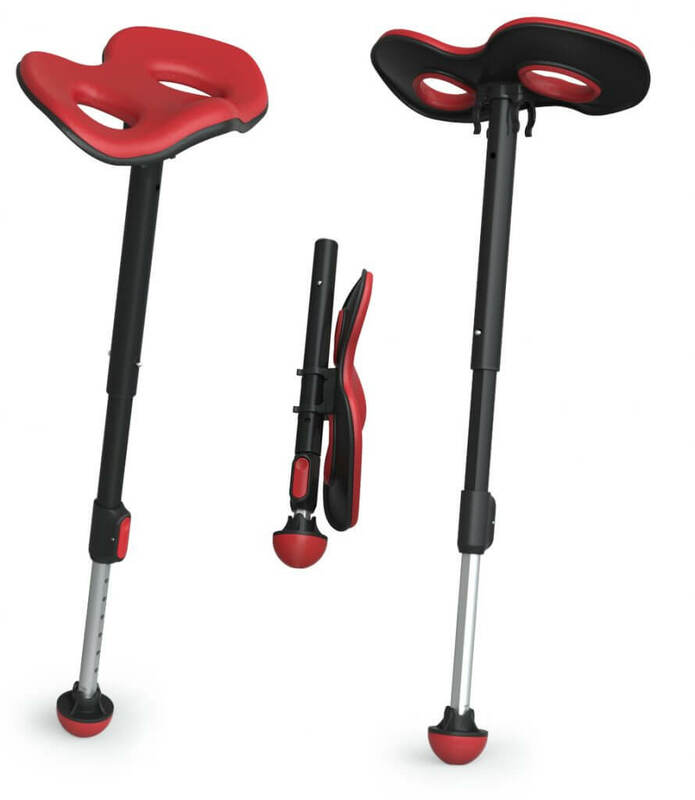 At the same time, it is the leading option for mobility within this price range on the stool segment. With a daring design, it’s no wonder the Focal Mogo comes with so many debates and arguments. But at the end of the day, users need to think long and hard if the stool is for them. If the user is looking for a mobile solution to use from time to time through the day, this is the option to consider. If users want something that adds a degree of comfort apart from spin relaxation, then another stool might be better suited. It is time to address the main debate around the Focal Mogo. One side argues its mobility is undermining its stability while the other side argues the opposite. But in reality, there is plenty of attention given to the stability of the stool. Most stools don’t have this problem anymore anyway. It is rare to find a modern stool which would actually slip due to a manufacturing defect and not due to improper use. It is why the Focal Mogo is such a capable option in the right hands. Even more, it manages to impress with its efficient construction which makes use of the compact materials. So when defending the argument around stability, users also need to keep in mind that the stool is one of the most powerful in its class. Handling weights of up to 300lbs with an aluminum frame can say a lot about the quality the Focal Mogo comes with. Furthermore, the Focal Mogo also comes with a time-tested design. It is not one of the stools which need to be replaced after a couple of years. This is also seen in its fiberglass-reinforced seat cushion which keeps it durable and stable. Not taking the Focal Mogo outdoors would be limiting its performance. It is why all users need to make the most of the design. Simply sitting from time to time might be worth it. Those on long commutes might appreciate this even more. It is unlikely the stool would not fit places since it is truly compact. 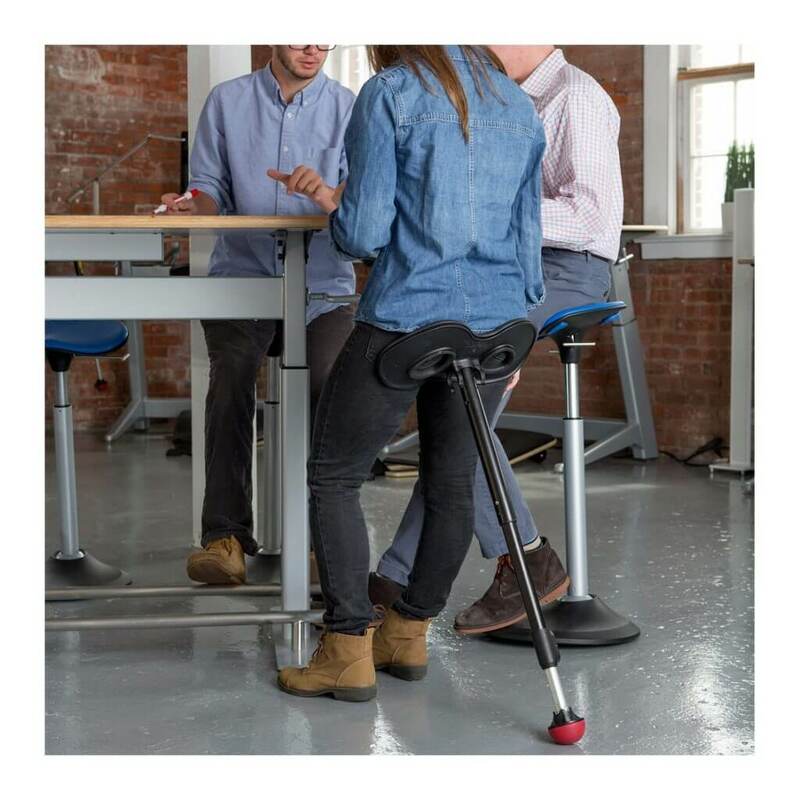 The Focal Mogo can also be considered as a backup stool at the office. Those dealing with guests often time find it difficult to find a free chair to offer. It is why storing the Focal Mogo under the desk can be one of the best ways to have a solution at hand when needed. The stool can be used as often as needed. Even if used every day, it still maintains its durable profile. But office workers can also take the stool with them into meetings, which can only be seen as a major advantage in the conditions in which they would otherwise struggle to find a free chair. With an ever-increasing number of meetings, this can be an important advantage. The Focal Mogo doesn’t promise to improve posture as other stools do. Its ideal customer is not someone looking to improve posture. Its main target is the user actually looking for a short-term solution to offer some comfort on the go. Of course, the stool will not reduce the entire weight of the upper body on the legs. But maybe up to 70% of the weight can be reduced and the result is added relaxation and improved energy levels. When it comes to mobility, there are also a few limitations. One of them comes with rainy days. It can’t really be used outdoors when the weather is not right as it can easily get dirty. At the same time, taking it out of its bag during bad weather can eventually damage it. At the same time, using it constantly outdoors where it would be exposed to UV lights would damage its seat faster. The Focal Mogo remains one of the most reliable collapsible and height-adjustable stools in its class. Its fantastic weight capacity means that almost all users can rely on it for added comfort. At the same time, it is based on a level of versatility which is unmatched. It is why the Focal Mogo actually manages to impress all users with its collapsible design. Those who want to make the most of the stool should also consider it for its mobile nature. Fully knows this and it is why they are offering a travel bag which is shipped with the Focal Mogo. Furthermore, the manufacturer can also impress with its customer support which is always there to deal with problems which could occur during use. This can’t be said about most other manufacturers and it goes to show that there is an entire team behind the stool. It is why the highly-adjustable Focal Mogo might be worth the investment even as a future-proof purchase.